GSROC got the call from a far away shelter with an urgent plea. This poor girl had been confiscated from her home due to severe neglect and starvation. 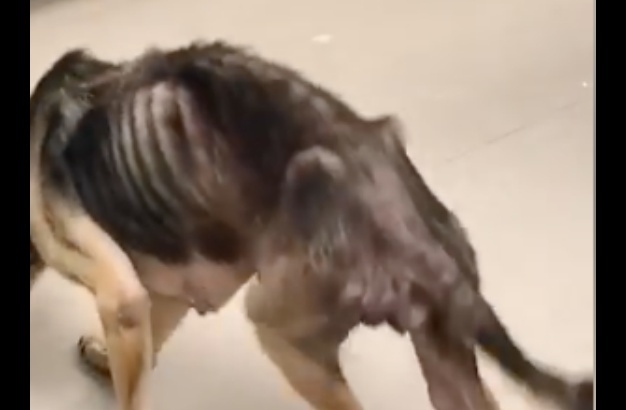 Help was urgently needed as the shelter was unable to provide her with all the treatment she required. How could we say no? We are certain she dreamed of a better life while she endured the horrific conditions she lived in. So, we named her Dreamer. 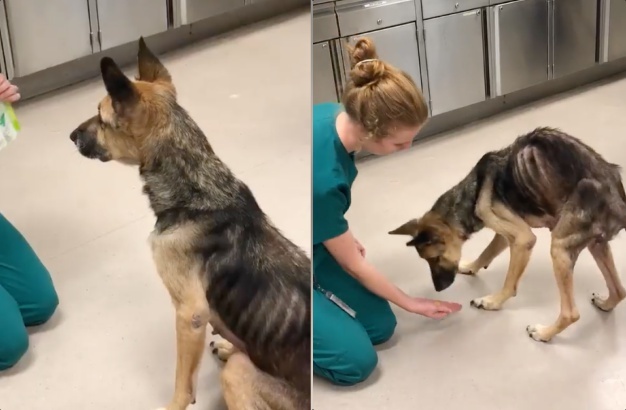 She has starvation induced diabetes, a urinary tract infection and a very severe skin infection – just to name a few of the issues she is battling. She will need IV therapy, costly antibiotics and insulin treatment and monitoring to resolve her diabetes. UPDATE: DEC 14, 2018 – DREAMER is doing better and gaining strength. Her appetite has improved and she is eating regularly. The vet staff reports she has a sweet personality. Please send your donation to help this sweet girl. Even though she has been so ill treated, she still is friendly with people and has a sweet nature. She deserves to see her dream of a happy life fulfilled. female If you would like to meet Dreamer, please complete the online application and an adoption counselor will contact you.